What’s the value for a No. 2 tight end on a roster filled with offensive weapons that aren’t part of the old Patriots two-tight-end terror featuring Rob Gronkowski and Aaron Hernandez? Bucs tight end Cameron Brate fits that description, and he’s due a guaranteed $7 million if he’s still on the Bucs’ roster on March 17, per Spotrac.com. Joe’s a big Brate fan. But he’s not worth that money coming off hip surgery, especially considering Bruce Arians’ offenses in Arizona didn’t feature much from the tight end position. How irresponsible would it be to keep Brate as a part-time tight end as Adam Humphries, a younger more valuable guy walks out of the building for a bigger pay day? Joe sure hopes that doesn’t happen. Humphries also is two years younger than Brate. 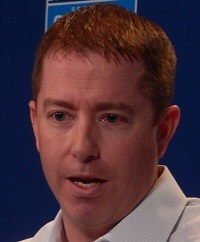 Lions GM Bob Quinn made waves in Detroit this week after his comments about how his team needs tight end help. They’ve had some big failures in that area and appear to be chasing again this offseason. What might the Lions deal for Brate? They need defensive end help, even if Ziggy Ansah bails in free agency. Maybe the Bucs could package Brate and Noah Spence for the Lions’ late third-round pick (via the Eagles) and a sixth-rounder? Maybe it’s Will Gholston, due just under $4 million this year, sent with Brate instead of Spence? Again, Joe’s a Brate fan but reality must take hold. That Bucs’ salary cap is tight for a team in need of upgrades. The Bucs have to at least consider offers for Brate. There’s only one football and the Bucs, per general manager Jason Licht, had one of the greatest offenses in NFL history last season. Brate only accounted for 289 yards of that action. So how valuable is he? Joe is of the mind that a solid veteran starting cornerback is more valuable than a No. 2 tight end. Absolutely nothing when you can get a rookie not coming off surgery. Brate wasn’t all that light on his feet before surgery and he can’t block. We’re trying to make a run for the playoffs. After Howard who do we have at TE if Brate is gone? Well known fact, Howard has yet to play a full season. What are we doing? someone else said it, but JW should be the one taking a salary cut. The Bucs need to keep their good players. I hope the Bucs keep Brate. Joe Flacco has won a super bowl sir… you can win with joe flacco you can’t win with cancer93 and glazers…. Just hate seeing players who busted their butts here be on the chopping block. All this came about because of the whole weapons for Winston drive that may have went overboard. Any NFL team would love to have our problem with too much talent on the offensive side of the ball. Makes you think we should have at least outscored a few more teams. I like Joe’s thinking to somehow use Brates money to retain Humphries. Both have a lot of mojo with Winston. Would be bad to lose both. Hi en the choice I’d take Hump all day. Some things are really simple and don’t need too much thought. Jettison Jackson, and resign Brate and Humphries. Jean……The draft is supposedly loaded at TE. There’s your replacement for Brate right there. Joe, just because Licht was stupid enough to over pay a second string TE doesn’t mean the Lions GM would be stupid enough to trade for him. There are younger cheaper options in a draft loaded with TE’s this year, that’s what he’ll do draft one, or if the Bucs come to their senses, and release Brate, he can get him for millions less coming off surgery, and having a bad year. Only Jason Licht over pays for average talent. he shouldve never been signed to that type of deal in the first place…. Keeping Brate over Hump is insane. And, if that happens, that is just where our GM belongs, the Psycho ward. The only thing I would hate about losing Brate is his chemistry with JW. Especially in the red zone. tmax showing his ignorance again. SSDD. Pewter Report said Hump is gone, DJax is likely gone, why would we move on from Brate after 1 mediocre year? He’s the most reliable target outside of Mike Evans. Brate is gone Arians offense doesn’t feature a the TE position. It’s more of a RB heavy with shoots down the field. Brate doesn’t fit with his cap number. Good player though. I am HUGELY against losing Hump! @Joe … “There’s only one football and the Bucs, per general manager Jason Licht, had one of the greatest offenses in NFL history last season.” Kudos Joe, still LMAO about that one. You’re reminding me of the junkyard dog with a bone who just couldn’t let it go. The fact that Cam Brate is making $7 mil a year is on Jason Licht, not on Brate (I’d let the Bucs overpay too if I were Cam). But all this talk about he can’t block & he’s not that valuable is crappola. OJ’s played 24 games in 2 seasons, has 11 TDs. Cam has played 32 games these past 2 seasons, has 12 TDs. Oh and last season Brate played 100 MORE snaps than OJ did. Don’t understand Bucs ‘fans’ sometimes. Many (including myself) want to get rid of DJax (to save $10 mil). Many don’t want to pay Hump ($7 mil for a very good slot WR is quite reasonable). Now some want to get rid of yet another ‘weapon’ … a very good #2 TE … because he makes $7 mil? What’s next? Get rid of Mike Evans because he makes almost as much as DJax, Hump & Brate COMBINED? Not hardly. I’d love to get something for Brate if possible, he’s average and does not have the upside of Howard. Hump is not worth 8 mil so get get your money. This is why drafting is important licht built this receiving core there’s no reason to overpay especially since he did it once through the draft. 8 mil is too much. To build on what Defense Rules said. Clearly we have a lot of holes to fill. But let’s not get so caught up in freeing up cap space, that we lose productive players for unproven ones and end up having even more holes to fill next year. That would truly put us in the rebuilding mode. Slow but steady. I know we all want to make the playoffs, but if we can keep the core group (not including Djax) and add several new pieces through the draft and FA in 2019, we’ll be in great shape in 2020 to put the final pieces in place and make a legitimate push to the playoffs. i said they had more upside never said they’d fetch more. nice stretch… i just don’t understand the fear of taking chances with new talent than sticking with the same players that we’ve been losing with for years. makes no sense. the results prove that i am right and the only ignorance is with the delusional optimists…. scoreboard pal…. Licht will screw it up, thats what he does. Brate did play with a torn labrum all year. And actually just had surgery. That painful as hell. It wasn’t some mysterious injury like others were rumored to have but never showed up on diagnostic test. Give the guy some credit. No wonder his numbers down. Plus Howard has not made it thru an entire season. Brate’s money is guaranteed. Plus he was injured and played thru the entire season and had surgery at the end of the season. The man has heart. He’s not going any where. Hopefully he will make a good recovery and continue making tds and be a bigger part of the offense this coming season. Just remembered that Brate, Humphries & Griffin were roommates last year and the year before (and maybe still are). It’s interesting to me that all three were undrafted free agents, yet seem to have carved out relatively lucrative careers in the NFL. Brate’s making $7 mil a year now, and odds are pretty good that Humphries soon will be. Ryan Griffin isn’t making anywhere near that much, but he’s still hanging in there. And you never know … given an opportunity, he may just end up being the best of the three. Personally hope that the Bucs re-sign him as Jameis’ backup. Always wondered how much time the three of them have spent practicing together. Both Cam & Hump have excellent hands and I’d suspect there’s been a lot of repetition involved to get to that point. Shedding brates contract is a no-brainer. Having 6 top pass catchers, no rb, avg oline, and a bad defense is clearly not the winning recipe. Need to allocate our resources/cap elsewhere. Plus, oj Howard needs to play 80% of the snaps. Dirk playing him 50% of the snaps is ridiculous. If we can get a decent draft pick (4th)…….I’d be OK with letting him go…..we could use the $7mil….. I have two reservations……one, if OJ goes down we are screwed……and two…..Jameis loves his Brate connection. If I had to choose between Brate & Humphiries…..I’d choose Hump. Brate is our best tightend. Show me one on the team who scores more points. It would be stupid to trade him. Our cap situation is not so bad as you think, and we have a bunch of cannon fodder we can cut to clear up about $40m in cap space…easily. And if the redo the McCoy and David deals to free another $8-10m. Arians will not trade Brate anyway. He’ll already be sending Jackson away. Bruce has a vertical offense. You will barely notice a difference in the way the offense is run. OMG, get rid of him already, if we can. It was a stupid move by Licht to give him all that money. Brate’s contract is NOT guaranteed until March 17th, the 5th day of the new league year. Up until the close of business on March 16th, Brate can be cut with absolutely $0 dead money to the Bucs, and no money paid to him. Go check it out. Over The Cap, click on his contract, scroll to bottom to read the language. The 5th day of the league year language/clauses is pretty standard in not only many of the Bucs’ players contracts, but for many NFL front office executives in how they write their player contracts. Lets the team decided come the beginning of the following year. $7M for Brate is the going rate for a TE with his productivity. Even hurt all year and with snaps and yard #s down – Cam still scored 6 TDs last year. Has 23 TDs in last 4 years! That’s among the leagues best TEs in scoring for that period. Is Brate a bit of a luxury for the Bucs with a stud like OJ Howard on the team? – well yea – a bit. But he’s a good and very reliable FOOTBALL PLAYER. He’s homegrown. A UDFA with more “want to” than most players in this league. And he has fabulous chemistry with Winston. Despite lack of real speed – Brate finds ways to get open and almost always makes catches that come his way! And the Bucs don’t HAVE to get rid of CAM…. Gholston + Unrein = $7M in cap space. Beau Allen + Evan Smith = $7M in cap space. Brate had a down year due to injury and that is now fixed due to surgery. So first ask him for a reduced contract due to his poor productivity that will be replaced if he has a real good year this year! As much as I like Hump & Brate I would rather keep Hump, if I had to pick one. Oh I forgot if they trade Brate just give Hump his salary. One really can’t speak to Bruce Arians’s offense not using two tight ends until we see how closely reality aligns to Arians’ self proclaimed we’ll adjust the offense and defense to maximize the abilities of the talent we have. So, to be fair we’ll have to take a wait and see approach to whether an Arians/Leftwich offense is the reason to send a talented tight end like Cameron Brake or any other viable offensive weapon, like Adam Humphries packing. Now, salary cap may be a real issue that might justify sending Brate and his $7 million salary down the road. The Bucs coaches will need to evaluate which player, Brate or Humphries is the more valuable asset. That decision, however, will come back, in the end, to what kind of offense Arians and Leftwich decide will best fit the talent available should one of either Brate or Humphries are sent on their way. Financial situations in the league.